Snapshot Japan: Takayama and Shirakawa-go, a photo by nina_theevilone on Flickr. I learned about these places from Ivan, who visited in 2011. I knew as soon as I saw his pictures that it should be added to my Japan itinerary. Fast forward to 2012, after a long time in transit (16 hours, 5 trains), I found myself in Takayama. It’s a small city, very walkable. Just the way I like it. Ten minutes from the hostel are heritage houses, museums, shrines and temples. Fifty minutes by bus sits Shirakawa-go, a Unesco World Heritage Site in the mountains of Gifu. Here, you’ll see gassho-zukuri farmhouses, some more than 250 years old. Like in Takayama, it’s a pleasure to stroll through the small streets of Shirakawa-go, taking in the sights and savoring the peace and quiet. That is, until the next noisy pack of tourists pass by. Yey! You visited! Really nice right? Chris! You’d have to visit this place. Even the train ride over is very nice! Super gorgeous views. The photo is amazing! It’s like I was instantly transported to yesteryears and imagining myself walking the streets with samurais just a short distance away from me (Probably watched one anime too many). Do they have any specialty cuisine in the area? I’m considering including this place in my itinerary. Wow looks like a remarkable old town. Japan is one country I would love to visit… too many places, so little time. I don’t know when but I will get there one of these days. Looking forward to more info from you. You present the place just the way I like it. 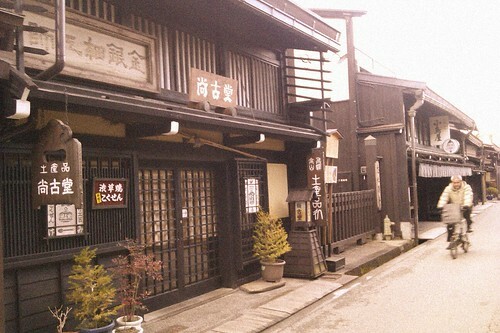 Japan looks like an old town,but it is very good to look at. It reminds me of a historical place that is worth remarkable. How come you had done that blog? What a beautiful and peaceful place. Love to look at place like this hope to find one in the Philippines soon. I love Shirakawa-go. I’ve been there twice: once in spring and once in winter, where we almost got trapped by the horrendous snowfall and contemplated who of us should be sacrificed as food if 12 hours pass and we’re still in the bus station. The Chinese tourists beside us were mortified at our conversation.